"Hello, My name is Emilie and I am a make-up brush junkie"
Ever since I first got into makeup I have been a brush collector, but despite my love for them, I despise cleaning them. It doesn't matter what brand of brushes it is, I find that the process is just plain boring and time consuming especially for someone like me who like to get them completely free from makeup residue. 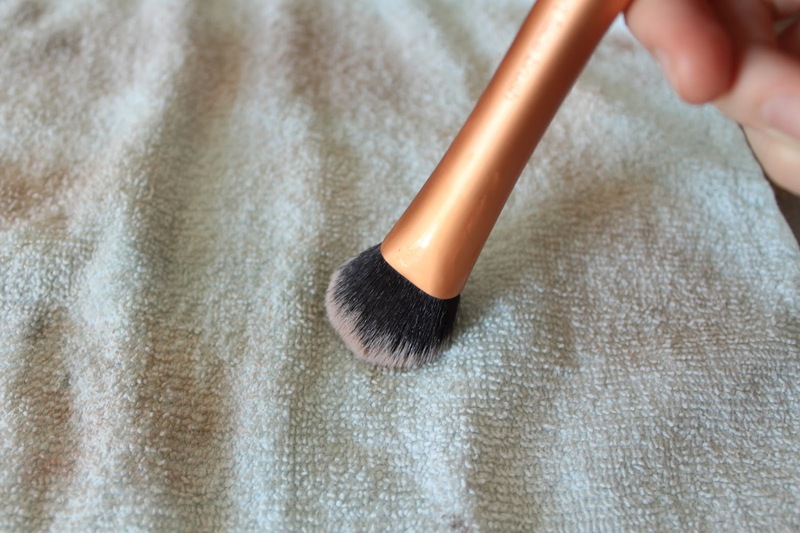 The only brand I find is fairly quick and easy to clean are the RealTechnique brushes, but when it comes to lets say my Sigma Brushes the story is quite different... 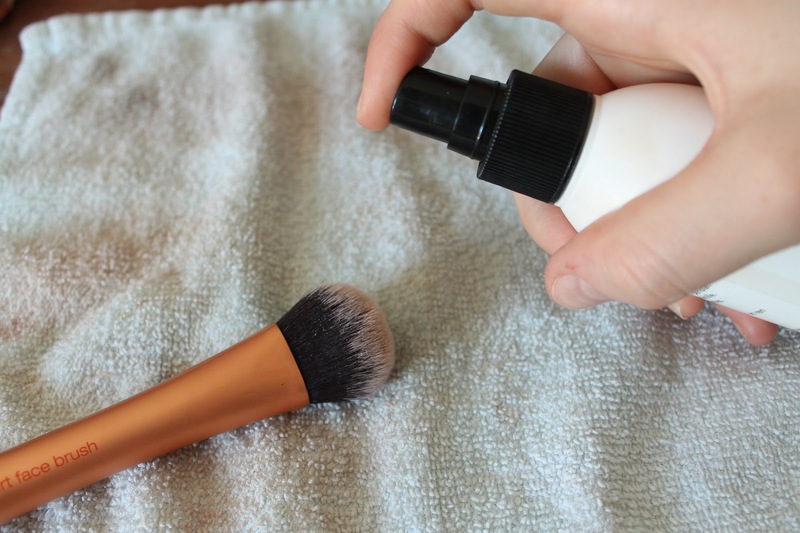 So for today's post I want to take you down the road of brush cleaning, and what I find is the best way to make a boring process as quick and effortless as possible. After trying and testing probably 10 different cleansers during the years, including MAC's and Bare Mineral's, I have finally found the one and only - very cheap - cleanser for me. It makes the process a lot less time consuming and even gets my F82 Round Kabuki clean, which is a new accomplishment. The miracle worker is none other than the Kicks Make-up Brush Cleanser. I am very sorry to say that it is only available in Kicks stores which is exclusive to Norway, Sweden and Finland, but I am sure that Boots or other drugstores around the world will have something equivalent! 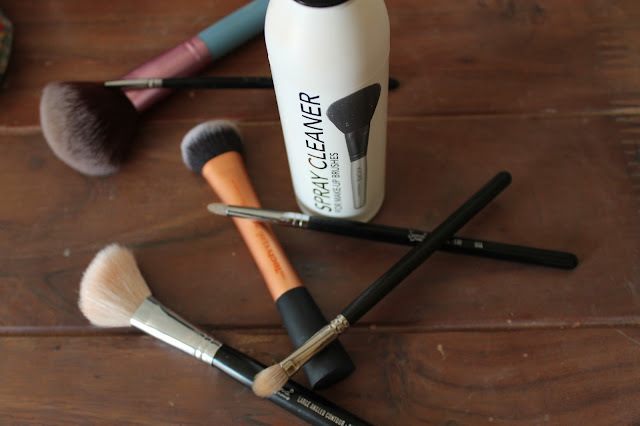 My point is just to say that you don't necessarily have to spend the big buck to get the best stuff for cleaning your brushes! Use what you find works, whether that may be a mild soap or a cleanser of some sort. The way I like to go about this all is to spray the cleanser onto the bristles of the brush, then use a little towel/cloth that has a bit of texture to it to wipe the bristles back and forth or in circular motions until no more colour transfers to the fabric. Yes, it sounds boring but trust me it is quick. I find that the texture or the towel works better at cleaning the bristles further up, if that makes any sense, than a normal tissue would and it also helps "speed up" the process a bit, which is a massive plus! 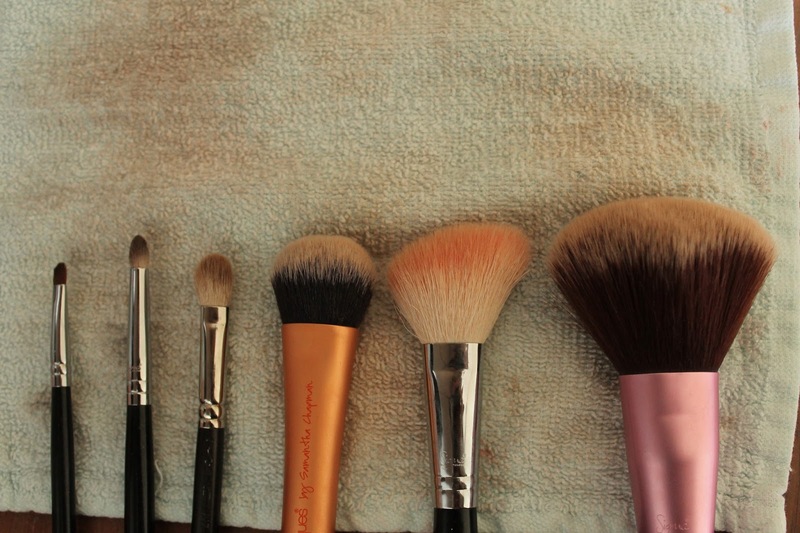 Now just repeat this for all of the dirty brushes and in no time you'll be left with a little (or big) pile of clean, ready-to-use brushes! As a little thank you to all of you who keep reading my blog and showing it some love, I want to do a little giveaway! I will be giving away 3 of the Kicks Brush Cleanser to 3 (duh) of you guys! I might pop in a few other mini goodies as well - who knows! To enter all you have to do is to follow my blog via Google Friend Connect and to follow me on Twitter! The winners will be selected at random but you can increase your chance by completing the additional steps as you will see below in the rafflecopter box! I will be doing another giveaway soon that is a little bigger for my 100th post, but that will be once I actually write that 100th post, haha. But yeah, keep your eyes peeled for that one! Aww wow! How fab is this giveaway?! I only ever use Baby Shampoo so to use something different would be a nice change! I usually use baby shampoo and water to clean mine! This cleaner looks great! I'm a bit strange and I use shampoo to wash my brushes - I absolutely despise doing it and find it a total chore too! Totally understand you! 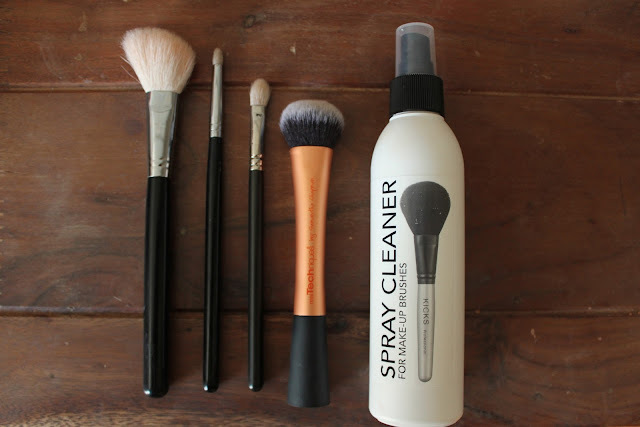 Love this giveaway, I hate cleaning brushes and often forget to, which is so bad haha!